Only three Ring Chairs in oiled walnut upholstered in Halingdal 220 are offered at this reduced cost. 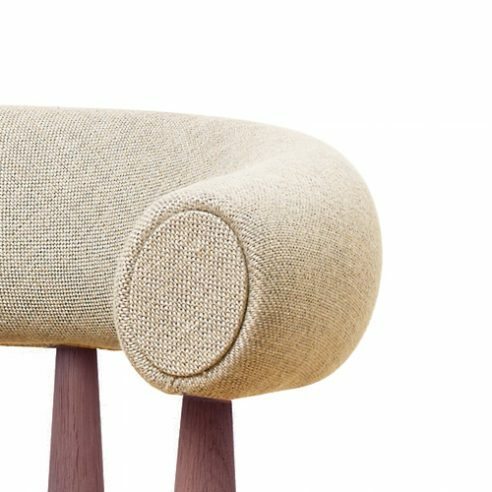 Ditzel’s early work adhered to the classic Danish modern tenets of simplicity, comfort and quality, producing armchairs with softly curved backrests much in the spirit of Hans J. Wegner. Ditzel’s signature piece of that time is her Ring Chair Originally produced by Kolds Savværk and designed in collaboration with her husband, Jørgen Ditzel, a fabric maker, the chair is produced today by Getama A/S. Ring has a semicircular padded armrest that embraces the sitter and offers multiple sitting possibilities.